MILWAUKEE (December, 2013) Keep an eye on your tail with the new Mirror Extension Kit (P/N 56000039 Chrome, P/N 56000042 Satin Black; $54.95) from Harley-Davidson® Genuine Motor Parts and Accessories. 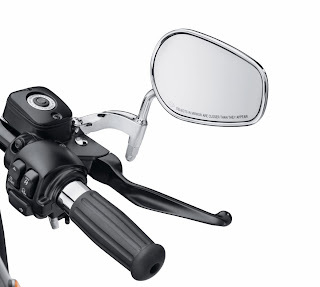 These extensions reposition the motorcycle mirrors approximately two inches outward and one inch upward to give tall riders a clear view past their shoulders. Easy to install, the extensions fit a wide selection of Harley-Davidson® Original Equipment and accessory mirrors, and are available finished in chrome or satin black to match existing mirrors and hand controls. 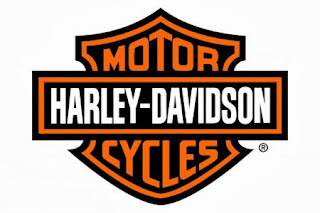 The Mirror Extension Kits fit 2006-later Dyna®, 2008-later Softail®, and 2009-later Road King® (except CVO™ models) and Road Glide® models.